The judge overseeing the Apple-Samsung patent trial on Friday threw out part of the billion dollar verdict in the case, ordering a new trial for certain products in the case. 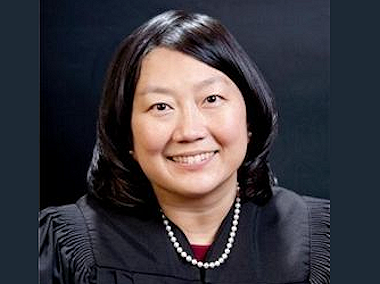 Judge Lucy Koh ordered a new trial to determine damages for certain of the products in the case, a move that affects $450 million of the jury’s $1.05 billion award. jury, the Court hereby orders a new trial on damages for the following products: Galaxy Prevail, Gem, Indulge, Infuse 4G, Galaxy SII AT&T, Captivate, Continuum, Droid Charge, Epic 4G, Exhibit 4G, Galaxy Tab, Nexus S 4G, Replenish, and Transform,” Koh wrote in her ruling. The move means that, unless a settlement is reached, a new trial will have to be held to figure out what Samsung owes Apple for infringement of those products, as opposed to the $450 million awarded by the initial jury in the case. The judge did not throw out the ruling those products infringed, but rather disagreed with how the jury calculated the amount of damages. Koh left intact the ruling and damages on 14 other products, upholding nearly $600 million in damages. An Apple representative declined to comment. A Samsung representative was not immediately available for comment. Update: In a statement, Samsung praised Koh’s move to toss out part of the verdict.